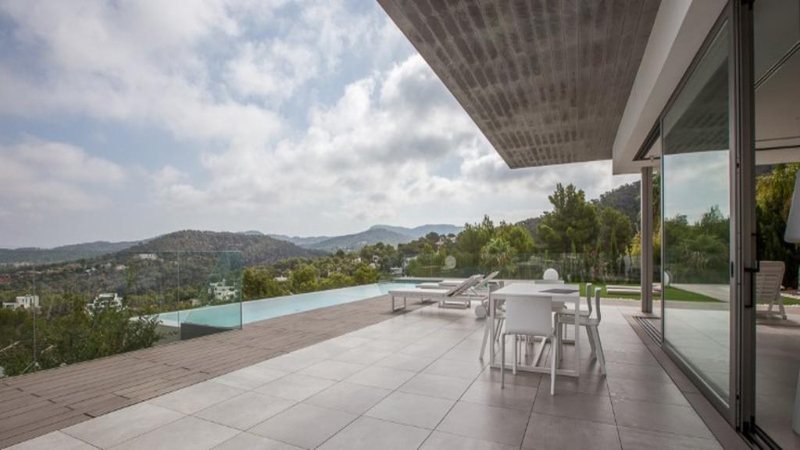 Spectacular ultra-modern and very comfortable villa of 450m², located in the upper part of Cala Moli on a plot of 1,700m². 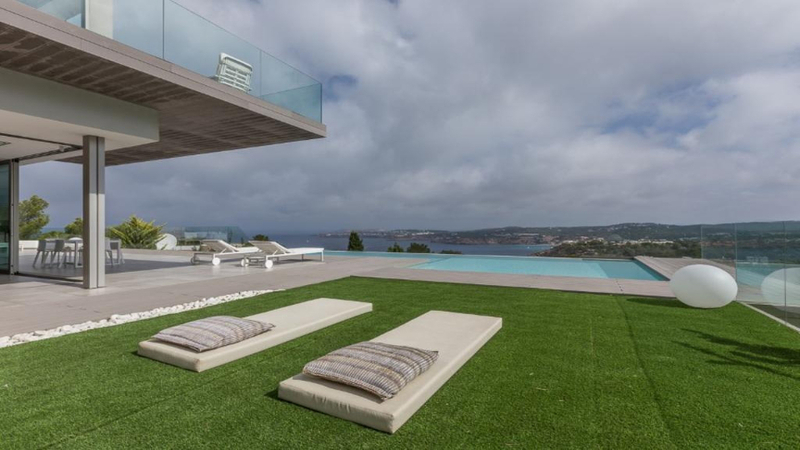 With panoramic views of the sea, the Bledas and s'Esparta islands and magnificent sunset views. Room, Ground level. This bedroom has 1 single bed. Bathroom outside the room, With shower. This bedroom includes also TV. Room, 1st floor, connecting room. This bedroom has 2 twin beds 90 cm. Bathroom ensuite, With shower. Room, 1st floor, view of the sea, connecting room. This bedroom has 1 double bed 180 cm. Bathroom ensuite, With shower. Room, 1st floor, view of the sea. This bedroom has 1 double bed 180 cm. Bathroom ensuite, With 2 washbasins, bathtub, shower. 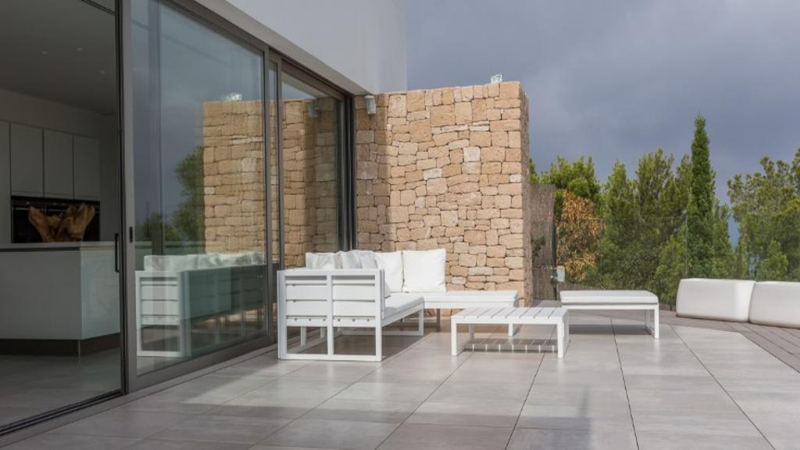 This bedroom includes also private terrace. All the most beautiful beaches of the West coast are within 10km: Cala Tarida, Cala Carbo, Cala d'Hort, Cala Vadella, Cala Conta. 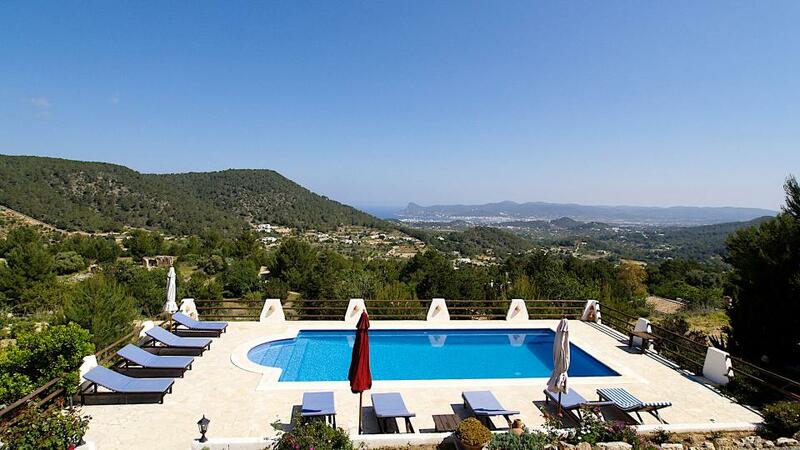 San José is only 10 minutes away and Ibiza Town is a 25-minute drive away.